jobless guy applies for position with a top company, and against all odds, makes it past the candidate selection process (computer error played a key part, as does other things like office politics). he then sets out to do his best as a rookie employee, even as the company staff in the know about the error tries to get rid of him. finally, even he finds out he was selected by fluke, but sticks on cos he wanted to support his family. my score: 6 out of 10.
it was a pretty hard drama to watch, with the number of impossible situations against him and how he manages to get out of them. then again, who gets a 100/100 score in the job selection exam? the only way is to suspend your logic and just watch the drama. you shouldn't even though it's Eric and it's his charisma that holds the whole drama together. Well, you might wanna watch it for Han Ga In. Lee So Yeon is excellent eye candy as well. in summary, love reversal story. poor student meets rich girl. they fall in love but break up ultimately cos guy has too much pride, and girl cannot last in poor living conditions. after some time, girl has become poor due to death of father and takes up menial job to make ends meet, while student is now a successful businessman. nevertheless, she is still an incredible cutie and ends up having both her ex and a new rich guy going after her. as for the phoenix bit, i am still in the blur about how it's connected to the story. it's not too soppy, even if there are tragic scenes, and some really crazy scenes, but you feel like there is such an array of people in love, realistically portrayed. half the time you dont know who you should be rooting for. love changes everything. or does it? the last drama the fabulous Ms Lee did before she committed suicide, which started the chain of korean celeb suicides. ok, that's not the real reason. the reason is cos all 4 main actors did a great job. even eric who was acting in his first drama. if you're a guy, you'd watch it for Ms Lee, period. she was great as a young love-struck girl and a serious older woman. and she was only 24! gender bender in ancient korea. ordinary girl wears male attire in order to support family, using her brains to help scholars at the nearby all male academy (for public office - besides, girls are not allowed to go to school) cheat. she ends up enrolled in the same school, and falling for one of the boys. 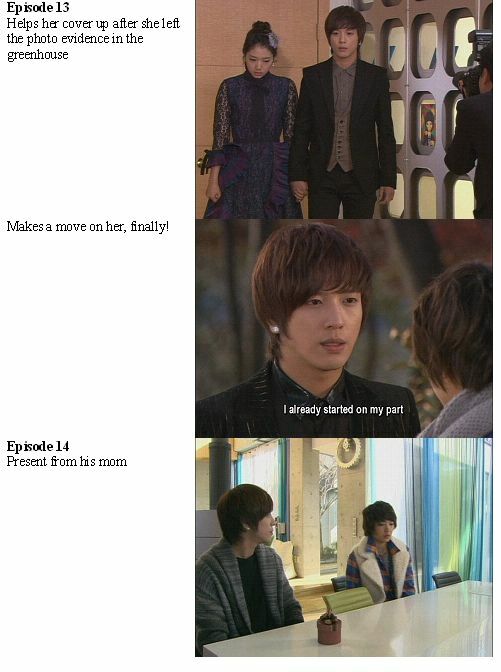 who also falls for her, initially thinking he is gay (a bit like coffee prince). along they way, they form a quartet (3 boys, 1 girl) and solve school situations as well as political ones. some of the situations are really awesomely resolved. just when you think its a no-win situation, they come up with some brilliant solutions. also, while the girl is not very manly, they give the excuse that the 'guy' is girly looking and as a result, it works! um, to see micky really act? lol. of course, there's tons of eye candy (for the girls) since the trio of guys are very good looking, and some of the other male students of the school too! but if you are a guy, all you want is to feast your eyes on that one rose. ok, i think most guys would be very attracted to the top courtesan who has a double role in this drama. but the real reason to watch it is cos the situations that come up are awesome and the resolution is even more awesome. same storyline in general as the korean original drama, but with some changes (after all 16 episodes reduced to 11) as well as some different interpretations of the situations. my score: 5 out of 10.
very sad, cos what they cut out are all the singing and idol group issues, reducing it to mostly a romance drama. as a result, you dont feel there is an idol band, even though they followed the same concept as the korean version in using singers to act the drama (or actors who can sing). just cos you watched the korean version and want to see what the japanese version is all about. personally, it's a major letdown. i'd rather re-watch the korean version! gonna so miss this drama! 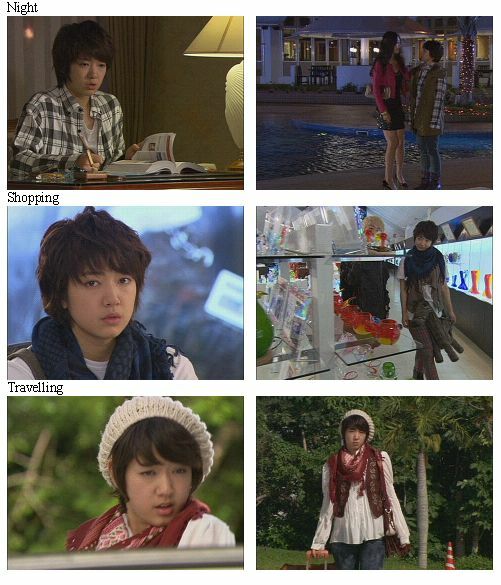 2) Mi Nam decides to be wife of pharmacist. No, the guy is still serving NS! In conclusion, he has been dumped! Mi Nam is Mi Nam again! and finds out that Mi Nam is interested in He Yi! so the president has arranged a meeting with He Yi for Mi Nam. 1) corniest joke. she tries to get out of the car without releasing the seat belt and thinks Tae Kyung is holding her back. 2) then she had to rush to use the bathroom! Tae Kyung uses the 5 finger test to let her know he knows. Mi Nam tell him she has to leave cos its too hard on her to be close to him (and yet not be able to have him). Tae Kyung decides not to force her to stay by his side, missing the whole point. pig rabbit was an innocent victim of the breakup, consigned to the toy room again, wearing her necklace. Mi Nam met up with Tae Kyung mom before leaving for Africa. They resolve their differences, and Tae Kyung mom learns that she has to ask for forgiveness from Tae Kyung herself. Tae Kyung gets serial bashing from the rest. Jeremy: you didnt tell her you missed her! 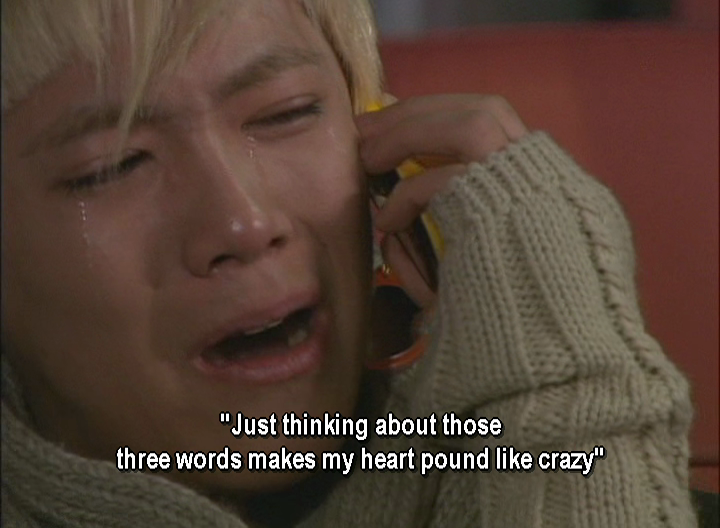 Shin Woo: you pushed her away. you can only say you let go if you had done your best to hold on to her in the first place! Mom: i hope you dont lose someone you love and then regret it. 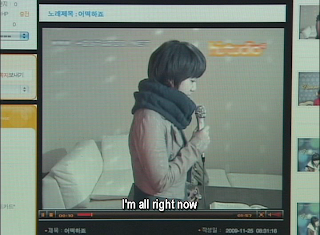 Tae Kyung sings her song for her, then she prepares to leave for the airport, having seen him. Shin Woo helps out by asking for the lights to be turned on the audience instead. now he can see her, and he walks up to her and hugs her, saying "listen up, im gonna say this to you everyday. i love you"
Tae Kyung catches a star for her. actually, there are no scenes in ep 16.
as for ANJELL, they have to buy time away from the reporter, who requested to meet both twins at the same time, so they are going to Japan! and the day they return is when the real Mi Nam is back too! 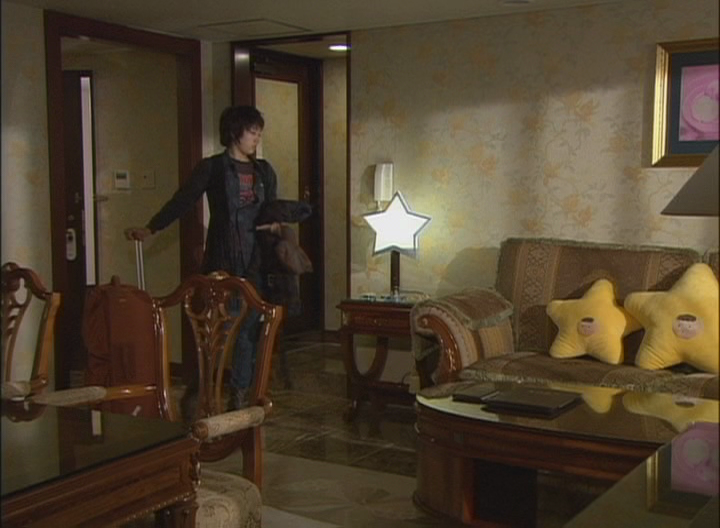 in the hotel, Mi Nam gets the star treatment! final assault on Mi Nam castle! 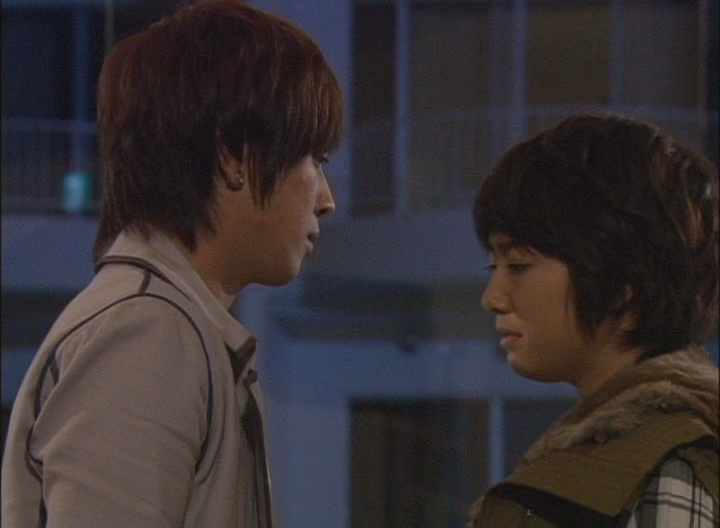 Shin Woo knew Mi Nam is still saying no to him, so he changes tack and asks if she knew when he knew she was not a boy. when they first met at the intro party. the story of the clueless girl is about her. helping her, he fell in love. and the girl he wanted to introduce as his gf, is her. so now its his turn to tell her not to go some place where he cannot see her. but she asks him to let her go, and now Shin Woo has lost everything. at least, Mi Nam got chance to tell Tae Kyung off for being a selfish brat and never consider her feelings while she has always considered his. Tae Kyung isnt stupid, just selfish. so this affects him a lot. Shin Woo - soft as cake, warm as coffee? pretty much correct there. the real Mi Nam appears! you know how the boys try and spot Mi Nam? just look for the girl who isnt screaming and following them around! Mi Nam goes into cloud 9 while Shin Woo fly home, alone. 1) can she also give permission to Tae Kyung to like her too? Tae Kyung: forget it, just turn me down! 2) ask Tae Kyung to repeat what he said to her? Tae Kyung: forget i said anything! Tae Kyung: Mi Nam, do you like spaghetti? she hiccups at hearing the "like" word. Tae Kyung catches on and teases her. Manager Ma finally gets who Mi Nam likes! Mi Nam finally realises Tae Kyung knows about the piggy nose significance! 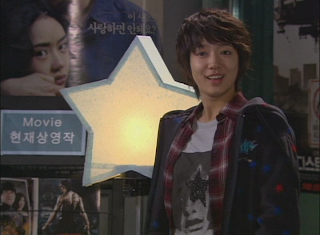 and Jeremy finds out Mi Nam likes Tae Kyung too! Jeremy, alias, the Last to Know. i like that Mi Nam didnt try to make Jeremy go on the radio show, but just sit on the bus with him. Jeremy sings this really cool song acapella, crying his heart out, for the radio audience, and for Mi Nam. Tae Kyung completes the redo of the oldies song that night. then calls a sleepy voice pig rabbit to drag her out, cos he need her eyes in the dark of the cinema. lol. the excuses he uses for a date! when it was over, Mi Nam found stars for Tae Kyung to see cos he cant see those in the sky, and says she will continue to do so even after she leaves the group. Shin Woo is back and says in the past, he did stuff for her without her knowing. now, he is going to do stuff for her and make sure she knows it. i mean, Mi Nam the boy will be back on the day b4 the showcase. 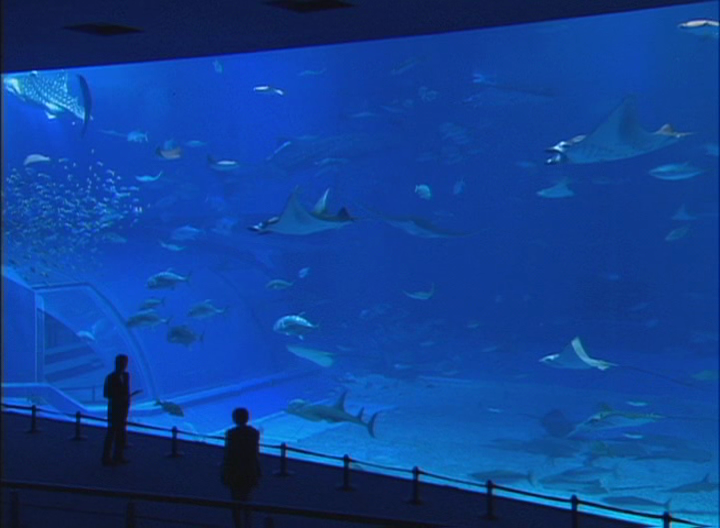 again, they are showing something that will be re-used later on. the excuse, is to celebrate the return of the real Mi Nam. Tae Kyung makes another date (he calls it fan meeting) with Mi Nam for star gazing tonight. he bought a telescope (and a star necklace). Mi Nam goes to see Tae Kyung's mom, so she calls Tae Kyung to join in too. Tae Kyung is now mad at Mi Nam for being the daughter of the man his mom loved, and for keeping it a secret from him for a while now. reporter has came up with the correct theory finally. and insist on interviewing both twins AT THE SAME TIME!